Kills 99.99% of common germs that may cause illness in as little as 15 seconds, without water or towels. Moisturizers and vitamin E leave hands feeling soft and refreshed. 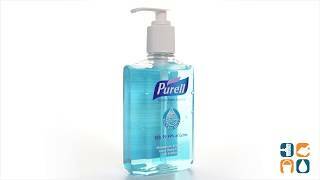 Hand Sanitizers Type: Liquid; Color(s): Blue. Love the way it leaves your hands feeling. Plus the scent it great!